In the previous entry, we looked at how the new ICS KeyChain API is used and tried installing a user private key/certificate pair and a CA certificate. Now we'll will try to find out where they are actually stored and how they are protected. the master key (in .masterkey) is itself encrypted with an AES key. The encryption key is derived from the password using the PBKDF2 key-derivation function with 8192 iterations (it may take a while...). The salt is randomly generated and is stored in the .masterkey file's info header. 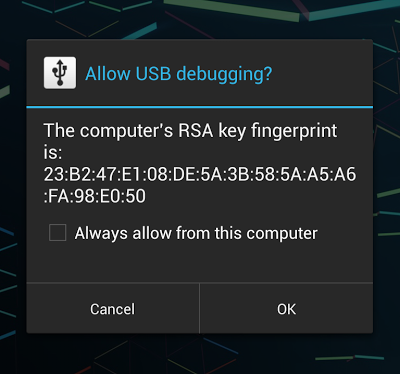 What this means in practice is that the Android key store is pretty secure for a software solution: even if you had access to a rooted device and managed to extract the key blobs, you would still need the keystore password to derive the master key. Trying out different password to decrypt the master key would require at least 8192 iterations to derive a key, which is prohibitively expensive. In addition, the derivation function is seeded with a 128-bit random number, so pre-calculated password tables cannot be used. it's interface exposes the current implementation: keys are returned as raw blobs which wouldn't be possible if the key store and related cryptographic operations were implemented in hardware (such as in a TPM). As mentioned in the previous article, most of the described credential storage functionality has been available in Android since at least Donut (1.5), but the key store was only accessible to system applications such as Settings, and the WiFi and VPN clients. What ICS adds are a few layers on top of this that make it possible to offer user applications access to the system key store and assert fine-grained control over what keys each app is allowed to use. In the next part of the series we will look at the implementation of the new credential storage functionality added in ICS. what is the command syntax for removing a key? for example your "foo" entry? What exactly did you try? keystore_cli saw "" should give you a list, and keystore_cli delete foo (IIRC) should delete. system@android:/ $ keystore_cli saw ""
I'm currently developing an SCEP client for Android. I'm trying to get access to the Android KeyStore by terminal, but it's no keystore_cli file on my device. Shall I reinstall or make a factory reset on my device? If it is not an error, How can I manage to get access to the KeyStore without keystore_cli? Read the other related articles, you can communicate from Java and there are public APIs for most of the things you need. If you really need the CLI util, download AOSP source and build it yourself. Thanks for your fast answer. I've read the other related articles, but those public APIs don't allow me to delete or remove user credentials programatically. I think that keystore_cli would do the trick to this problem... I will download AOSP source and build that client. I've noticed that I can't build keystore_cli. I'm trying to access to the daemon through KeyStore.java, and it does the work I'm looking to, but how can I add user certificates in the KeyStore (and then appear when getting certificates on Security menu)? Not sure what the problem is, but if you can build the platform, keystore_cli gets built as well. Keystore access is different on different versions (4.3+ have a service, not a daemon), see the android-keystore project on my Gihub for details. To get certificates to appear in Settings you an just use the KeyChain API. Or if you want to skip the dialog, look at the implementation and do something similar. Also check the article on trust store implementation. thanks for the wonderful and informative blog posts. Our current implementation is loading the certificate from the downloads area. Then we encrypt and save the private key and certificate in the private area. Once authentication is done we delete the certificate from downloads area because no one else should access it. We load the key and certificate in the PKCS backed keystore from the private area location for subsequent log ons. We want to move to Key chain based implementation. Our product standard says to have a 2nd layer encryption i.e. 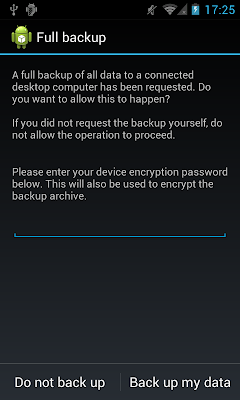 on top of the OS, app must also encrypt the certificate and the key. If we use the key chain then the app itself is not encrypting it. I know the credential storage has 1st layer encryption reading this blog post. But can another application implementing the key chain apis get hold of the private key from my certificate. ? Can we somehow provide the 2nd layer app level protection for the key chain. ? Your question is not really related to this blog post. 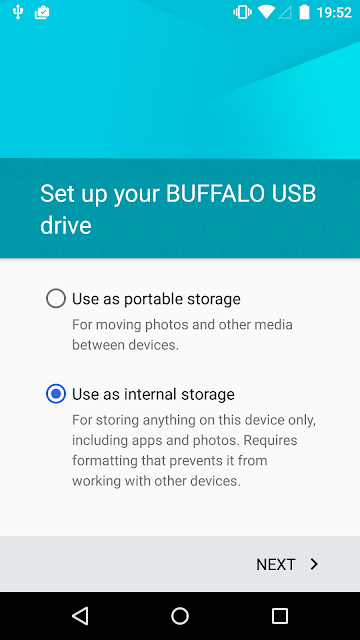 In the mean time things have changed quite a bit, and Android now supports hardware backed storage. If the key is protected by hardware, it cannot be extracted, so no way to do second level encryption, etc. You might want to look at the later posts on the subject. when install certificate(.p12) on VPN side clear credentials is enabled. But when same certificate is installed on Wifi side clear credentials is not enabled in Android side.